The New Influencers: King Russell/"Kingsley"
Image via Paragonpod / Wikimedia Commons; used under the Creative Commons Attribution-Share Alike 3.0 Unported license. Content focused on hating things is pretty common on the Internet, and it’s often not pleasant to watch. But King Russell, known online as Kingsley, managed to turn talking about things he hates into a successful comedy and pop culture commentary-based YouTube channel. 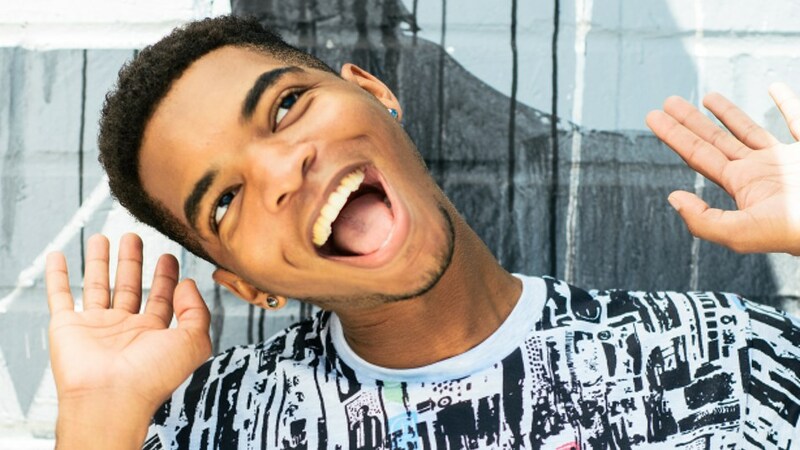 Since posting his first viral video, "Things I Hate," at 19, Russell, now 25, has been featured on television programs like Tosh.0 and Just Keke, and has collaborated with other well-known Internet creators like podcaster Tyler Oakley, singer Rebecca Black of "Friday" infamy, and fellow YouTuber Shane Dawson. Russell’s current projects have branched out significantly from just ripping on his pet peeves. Like Oakley, Russell has worked with the LGBT advocacy nonprofit The Trevor Project, and has also worked with Red Eye, a nonprofit that helps pop-culture creators and influencers connect with and give back to disadvantaged communities. Why did you start making YouTube videos? What influenced your decision on what type of videos to make? I had too much time on my hands during summer vacation. I listened to radio, watched TV, and read books and magazines, so just decided to talk endlessly about those things. Opinionated, flawless individuals mostly residing in the US, UK, Canada, Australia, and Germany! What precautions do you take to maintain your credibility as an independent creator when working with brands? I like to maintain my voice, and I want partners to understand that. Both sides are going to lose if the audience isn't comfortable. I'm super open with my audience and it's a lot of fun, so if I turn into a completely different person to promote something, it's not going to go over well. I love when brands approach me because they love me more than wanting to sell their product based on numbers. You've collaborated with some other notable YouTube stars like Shane Dawson. How do you choose peer partners to work with? Honestly, I just ask people who inspired me (like Shane and GloZell, among others, who I watched before starting my channel) and people I love watching now. What should brands keep in mind when they want to work with an influencer? Trust us! I think everyone's trying to figure out the digital space, but when it comes to selling something to our audiences, nobody knows them better than us. Every single influencer has a different audience because all our personalities are unique. The same people watching Tyler Oakley are not necessarily the same people watching me, who aren't necessarily the same people watching Miranda Sings, who most certainly are not the same people watching Davey Wavey, whose audience may have never heard of Tré Melvin! No single plan is going to work across the board. Collaborate. Listen. The amazing thing about the digital space is that it's different. It's being pioneered. We all have to be open to compromising and learning a little. And what advice would you give to content creators when they are approached by a brand for the first time? Make sure it's something you are comfortable doing. You don't have to accept everything that is thrown your way just because it exists. Think of yourself, but also your audience. Any trends in the digital world that excite you? Are there any upcoming apps, platforms, or tools that you think will change how you create your content? Snapchat is intriguing to me at the moment. I hate it. Like, I really do, but I think something is there.